The most RJ Young knew about guns was that they could get him killed. Until, recently married to a white woman and in desperate need of a way to relate to his gun-loving father-in-law, Charles, Young does the unimaginable: he accepts Charles's gift of a Glock. Despite, or because of, the racial rage and fear he experiences among white gun owners ("Ain't you supposed to be shooting a basketball? "), Young determines to get good, really good, with a gun. 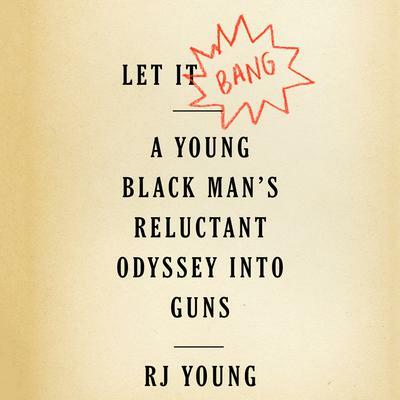 Let It Bang is the compelling story of the author's unexpected obsession—he eventually becomes an NRA-certified pistol instructor—and of his deep dive into the heart of America's gun culture: what he sees as the domino effect of white fear, white violence, black fear, rinse, repeat. Young’s original reporting on shadow industries like US Law Shield, which insures and defends people who report having shot someone in self-defense, and on the newly formed National African American Gun Association, gives powerful insight into the dynamic. Through indelible profiles, Young brings us up to the current rocketing rise in gun ownership among black Americans, most notably women.